Memory Channel per Bank getting non active when using PERC H310 Contoler card – Fixed! When I plugged a Dell PERC H310 card in one of my whitebox, my total memory went from 24Gb to 16 Gb. Always. When the card is not plugged in, the systems do show their maximum – 24 Gigs of RAM. It seems that the PERC card deactivates single memory channel per bank in half of the slots that are present on the motherboard. No matter which settings I used in my BIOS, the problem remained. Both systems based on i7 “Nehalem” were affected. The systems otherwise runs just fine, but shows up with 16Gb RAM only when the card is plugged in. 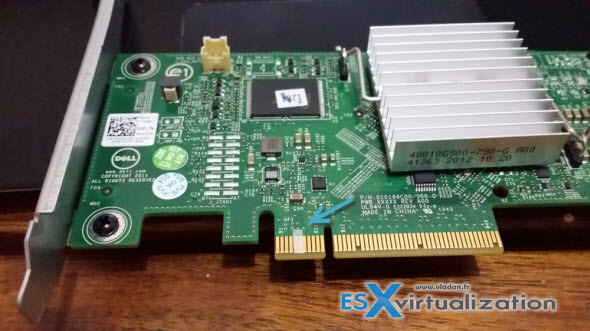 The purpose to use a H310 card is to test VMware VSAN in a lab on my existing hardware, before investing into new hardware sometimes later this year. I have two hosts which runs Intel core i7 based on Nehalem architecture, where each of the motherboards has 6 RAM slots (limited to 4Gb per slot). It’s the setup I’ve been using since 2011 and which worked well on different shared storage solution I’ve been using in the lab. Now that VSAN is out I just want to bring those two hosts as well. The Haswell built (third host planned for VSAN) is not affected. It it seems that a bit strange trick by taping two pins on the PERC card with an electrical tape can help to solve the problem! Pretty amazing. I applied a piece of tape, and it works! Only pins 5 and 6 needs to be covered by tape, and only on one side of the card. I applied the same for both PERC cards and both systems now indicate 24Gb of RAM as previously. Well done!! 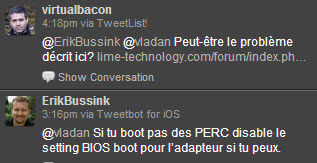 Thanks to Twitter, @erickbusssink and @virtualbacon for trying to (and actually helping) with this problem. Hopefully it help other folks which runs similar Nehalem architecture. The original author’s blog post is here, so if you got the same or similar problems that I had, it costs nothing to try. Source: Yannick Tech Blog and Lime-technology.com forum thread. 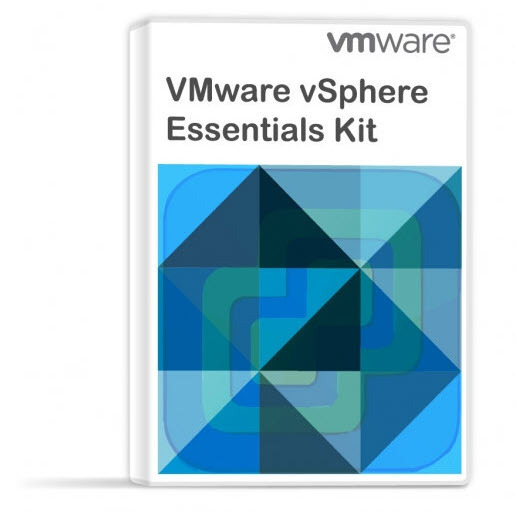 My VSAN journey – all done! Glad to see my blog helped you in solving your problem! And thank you of course for mentioning it as source, people should do that more often! I know this is an old post Vladen, but I just wanted to say thank you! I’ve been pulling my hair out trying to resolve this.